Stay informed with current updates from Middle Township Police Department on your smartphone Download for FREE! Scan the QR code and install. 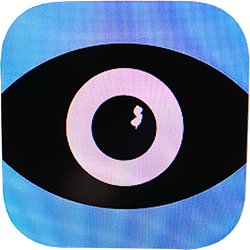 If you are unable to scan the code, type ‘Middle Township Police Department’ in the search box of your App Store. See the most recent messages from Middle Township PD, powered by Nixle.Sign up to receive messages by email & text message. The Middle Township Police Department takes great pride in our strives over the last years connecting our citizens with the department through social media outlets. During past hurricanes and coastal floods we have sent alerts immediately to those connected advising of evacuations and shelter locations. Whether it is Facebook, Twitter, Nixle or our new mobile app, you can stay connected with us 24/7. We encourage you to download our new mobile app to communicate with us and receiving breaking alerts in the event of an emergency. Our mobile app is cutting edge and provides two way communication so if you see crime happening, you can snap a picture, type a message and click send, it’s that simple. Also, it has valuable information at your fingertips to include forms, resources, press releases, and more. We encourage the citizens of Middle Township to connect with us today!